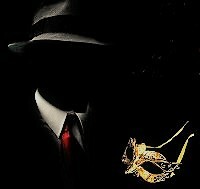 TIPS: "Don’t scream… The Mobster Masquerade is coming and you won’t want to miss it. A roaring, horrifying Halloween Party presented by The Ivy Plus Society and Three Day Rule at the gothic underground speakeasy Bassment Chicago. Scare your night away with LIVE MUSIC and your favorite mobsters, flappers, gangsters and masquerade dancers. Prizes for the best dressed Mobster/Masquerade Costume or a Combination of Both!" This is an Ivy Plus Society event. For questions about the AFLSE Chicago chapter, please contact the chapter leader at chicago@aflse.org.